The League of Governors: Chronicle Two – Jason by Wendy Terrien is an Adventures of Jason Lex novel. Jason saved the world, but he wasn't able to save his mom. He's trying to get his life back together now that he knows a secret world of cryptids exists, but his little sister only seems to be getting worse. After his dad takes Della to London to see the League of Governors, they stop responding to Jason's phone calls. Add to that a mysterious coin that glows, and Jason knows there's more going on than meets the eye. When he and his Uncle Alexander travel to London for answers, they find a deeper conspiracy. Suddenly Jason's been rescued and held captive by the League. Everyone around him behaves strangely and no one will give him clear answers. Even his dad has a personality change. As he digs into the League's motives, he uncovers a plan to take over the world and a shocking family secret. Jason's adventures are far from over after seemingly stopping his mother's plans. Some might say his troubles have only just begun. Most of the focus is on the conspiracy within the League, as they pose the greatest threat to Jason and his family. When Jason's drawn into the League, he's not sure who to trust so everyone around him looks suspicious, which makes him feel trapped and alone. He has a realistic outlook on everything happening around him as he goes through quite an emotional journey, filled with anger and despair but also strength and hope. His hero's journey has only just started as he continues to fight back, even in small ways, while also having to consistently pick himself up and keep moving forward. The League is presented in an interesting way, with a chilling appearance of an Utopia with Jason directly in the middle of it, alone and confused, trying to figure out who to trust and how to get out. On the surface it seems almost perfect and merry, with everything - even punishments - being viewed as a good thing. With every turn Jason uncovers a bit more that deepens the conspiracy in dark and twisted ways. Wendy Terrien creates a faux Utopia in a perfectly creepy way that ups the danger the further Jason unravels and continues to work in Terrien's twist on cryptids. Family is at the heart of Jason's journey as he struggles to protect those he loves and everything he knew is threatened. 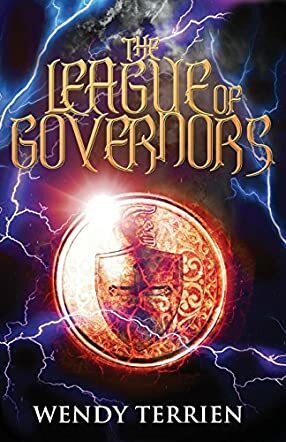 The League of Governors is a nerve-wracking, suspenseful read from beginning to end, a hero's journey with twists on cryptids and a dark conspiracy.